I love coffee. Even in the heat of summer, I will still drink down a piping hot cup or two in the mornings. There are some times in the afternoons when I would like a little coffee pick-me-up but the idea of drinking a steaming mug of the stuff is just too much. That’s why I am a huge fan of coffee ice cream. 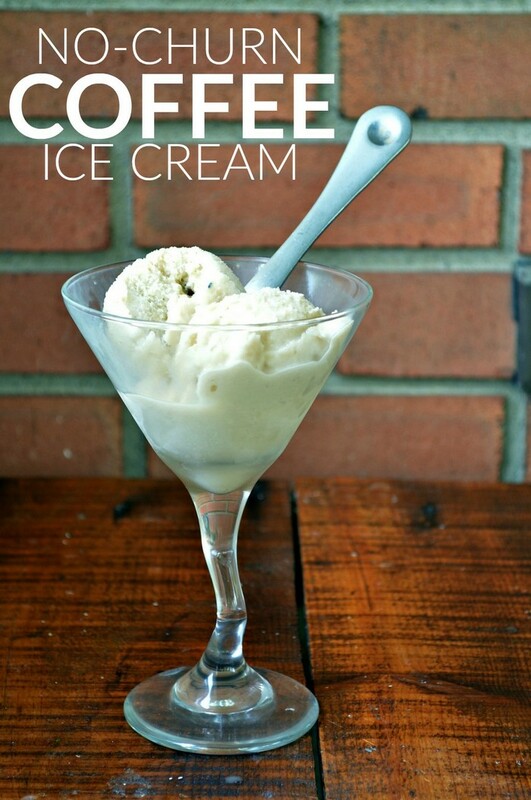 All the flavor of a coffee shop drink, and, well, ice cream. 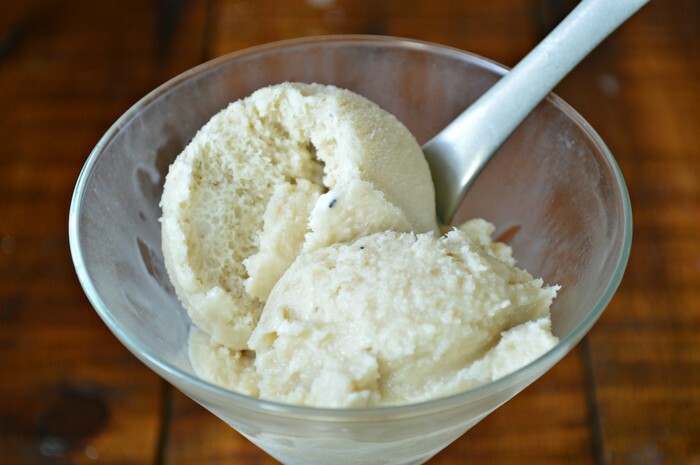 I used my new favorite kitchen gadget to quickly make up a batch of no-churn coffee ice cream. And I am showing you how today. Are you familiar with the Braun brand? The German company has made its reappearance in America and I was chosen to try out their new household line of small appliances. With Braun, it’s never been easier try new techniques, because the products help you save time and energy by doing most of the hard work for you. You can learn more about Braun product on their Facebook page. Watch the short video above to see how simple it is to make this refreshing take on your morning cup of joe, with just THREE ingredients! 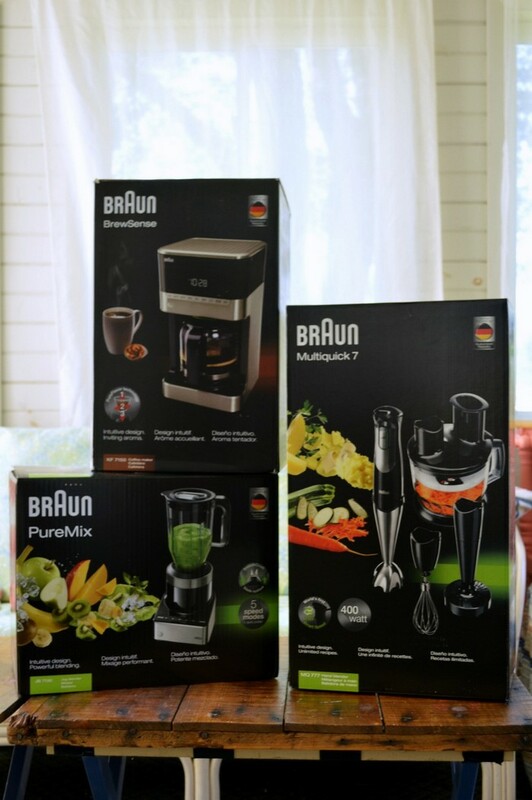 I used my new Braun BrewSense Drip Coffee Maker to make a strong batch of coffee, then the whisk attachment on the Braun Multiquick 7 hand blender allowed me to whip together the ingredients with almost no effort at all. None of this whisking until your forearms ache! Whisk together coffee and half and half. Add in sweetened condensed milk, and whisk until combined. Freeze over night. Serve and enjoy! What’s your favorite way to enjoy coffee in the summer?